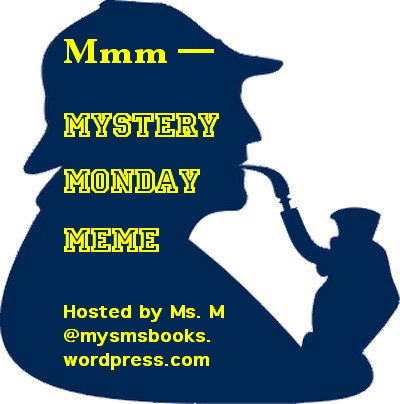 Today’s Mystery Monday feature is The Girl in the Spider’s Web by David Lagercrantz, a Swedish journalist and author whose books have been translated into many languages and are on best sellers lists everywhere. This book is part of a series involving genius hacker Lisbeth Salander (the girl with the dragon tattoo) and Mikael Blomkvist, editor of Millennium magazine which features investigative reporting which champions truth and justice. They make a great team. . . when they do eventually team up. Frans Balder is a genius when it comes to computer programming but an outsider when it comes to social situations. He also sees himself as a lousy father. When he hears that his 8-year-old autistic son is being abused physically by his mother’s boyfriend and making no progress with connecting with others, Frans gives up his job in Silicone Valley and heads home to Arlanda, Sweden to remove the boy, get to know him, and put him in safer, more professional hands. Mikael Blomkvist and his magazine are facing a hostile takeover and Mikael is feeling helpless and old. What he needs, is a real story that exposes criminal activities within supposedly upstanding companies or government that will turn his magazine into a profit-making, up-scale entity again and allow him to buy out from under the company that extended him the funding he needed a short time ago. What he gets from his new source, Frans Balder, will lead him into the territory of cyber crime where ruthless spies will stop at nothing to achieve their objectives. He’s definitely going to need Lisbeth’s help. This entry was posted in Adult Book, Author, Meme, Mystery, Opinion, Spy Thriller and tagged cyber espionage, David Lagercrantz, Lisbeth Salander novel. Bookmark the permalink.